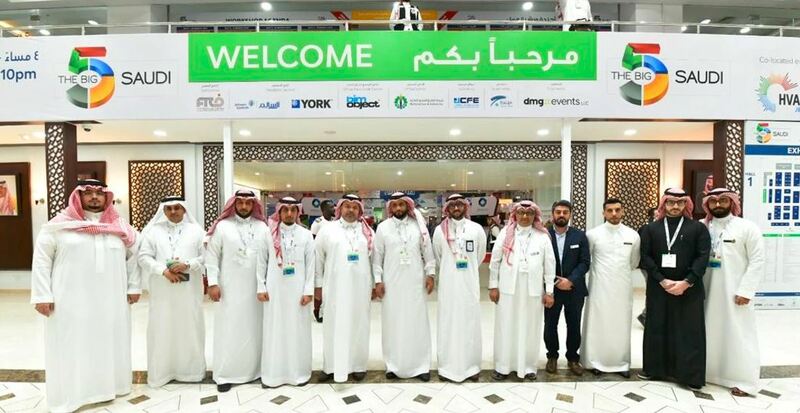 On March 12, an official delegation of the Makkah Chamber of Commerce & Industry arrived in Jeddah to visit The Big 5 Saudi, the premier meeting place for the global construction community in the Kingdom, which hosts 300 international and Saudi exhibiting companies. The delegation was headed by Mr. Khalid Bin Dubais, Member of the Board of Directors and Chairman of the Contractors Committee at Makkah Chamber, and Mr. Shakir Al-Shareef Member of the board and Chairman of Investors Committee and H.E. Eng. Mazen Abutalib, Secretary General Adviser of Makkah Chamber of Commerce and Industry. It included over 50 high profile personalities, CEOs of construction companies, contractors, urban development and engineering consultancies. The pipeline of upcoming construction projects in the Makkah Region is the second largest in Saudi Arabia, after the Tabouk Province. Over the next years, more than USD 283 billion worth projects are planned in the Makkah Region, including several high-value projects such as the USD 10 billion Al Faisaliah City, the USD 8.7 billion Jabal Al Sharashif Development, and the Makkah Metro Phase 1 (worth over USD 6 billion), which is currently under bidding process. In the backdrop of these multi-billion dollar construction projects, The Makkah Chamber delegation toured The Big 5 Saudi and met with hundreds of suppliers of construction products and solutions from around the globe, who are in Jeddah for four days of business, networking and learning opportunities. According to MEED Projects Report, in 2018, the Makkah Province awarded approximately USD 4 billion worth of contracts. The value of planned projects in Saudi Arabia for the coming years is expected to be the highest in the GCC, standing at over USD 1.2 trillion. The ninth edition of The Big 5 Saudi (10-13 March 2019, Jeddah Centre for Forums & Events) is organised by dmg events, and is supported by GASCO (Official Sponsor), Al Fouzan Trading & General Construction Co. (Gold Sponsor), Astrolabs (Entrepreneurship Partner), Al Salem Johnson Controls (Registration & Lanyard Sponsor), the Saudi Standards, Metrology and Quality Organization (SASO), the Saudi Building Code National Committee (SBCNC), the GCC Standardization Organization (GSO), and the Jeddah Chamber of Commerce. To know more, visit www.thebig5saudi.com.